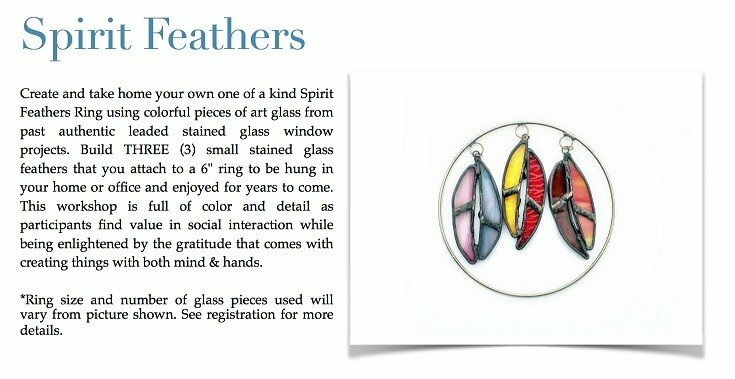 In all of our workshops, create and take home your very own stained glass art piece in 3 hours or less. Cost is only $39 per person. 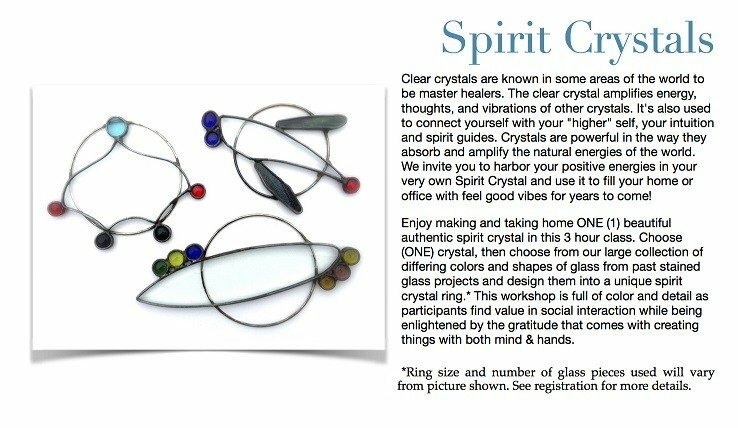 These workshops include all materials needed to build the projects, plus the use of our studio tools. 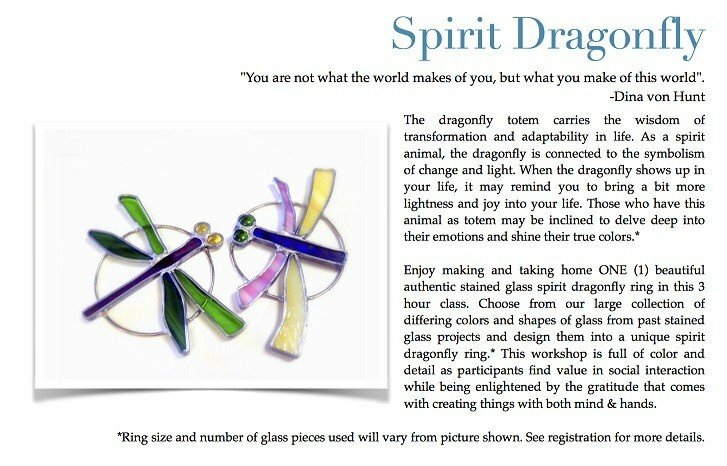 And all workshops are led by one or more of our experienced instructors. 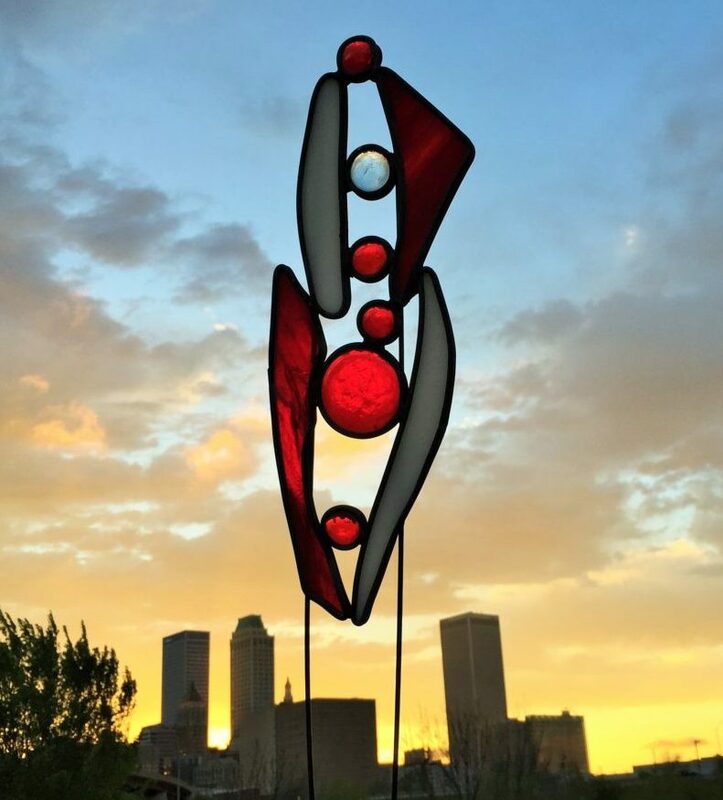 Workshops are held at our Art Event Center located at 4131 S Sheridan Rd in Tulsa, OK. 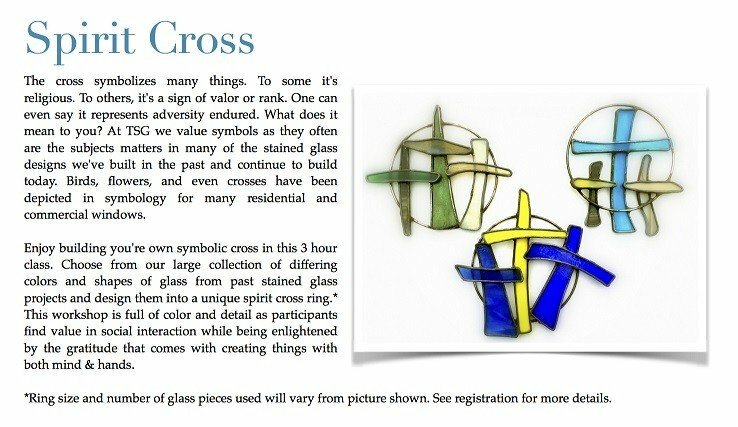 There is a 10 person ($390 for stained glass projects) minimum when booking your event during business hours. 15 person ($585) minimum after hours. If your party is smaller than 10, we invite your party to join in one of our already scheduled workshop events. Our workshops and other events are also available to be hosted at your venue of choice or place of business through our mobile art studio. Pricing varies according to your needs. Please contact us for mobile studio details and pricing. All workshop participants become eligible for our Ambassador Program and get discounts on future events, workshops, and more! 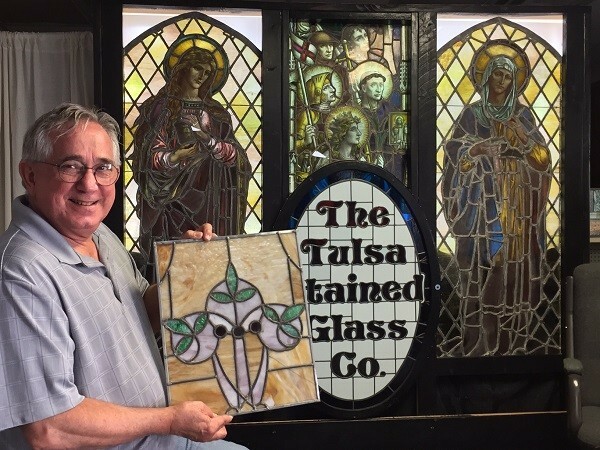 Check out the great variety of individual stained glass projects we offer. OR work with us to design a collaborative project where each member of your team contributes to a larger artwork. 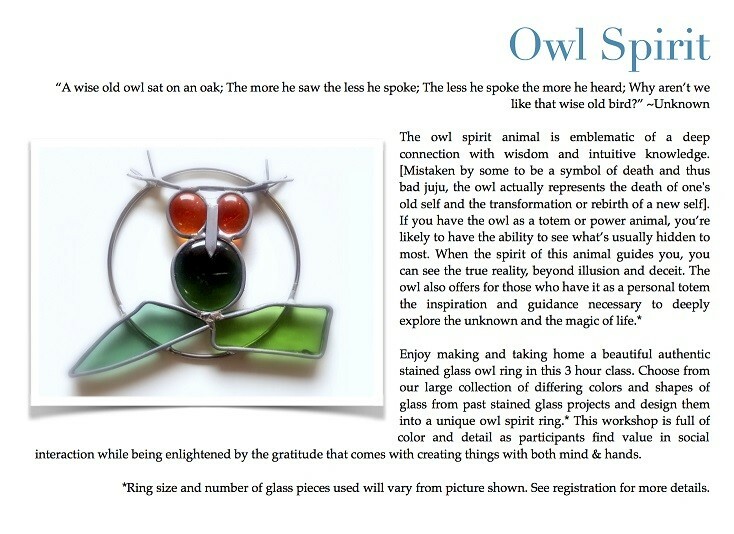 The Garden Spirit Sculpture Class is the original class that started it all! You don’t have to be Michelangelo to build a beautiful sculpture. We’ll show you how. Perfect for groups! 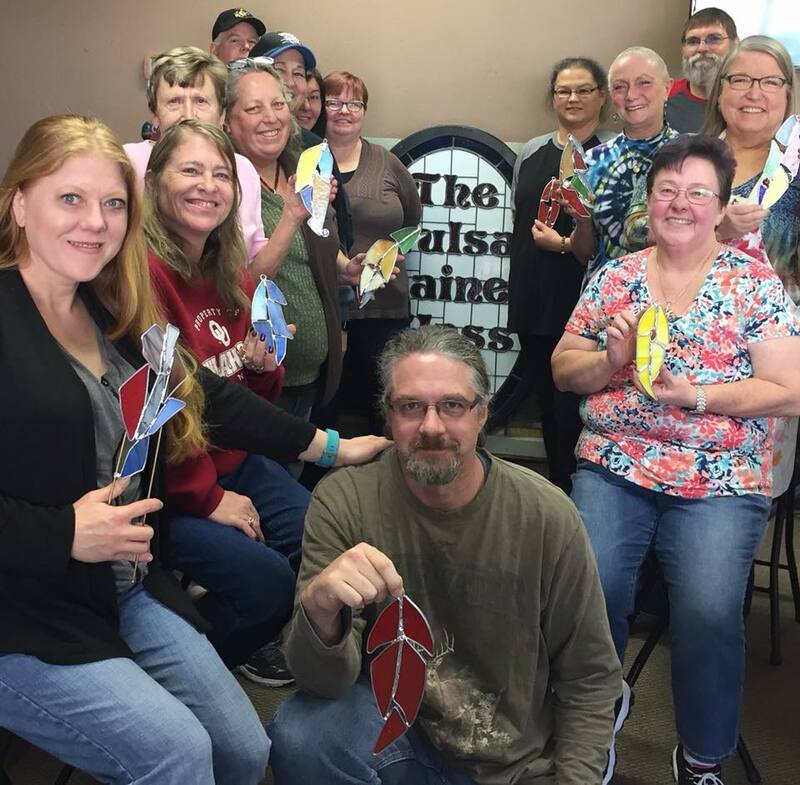 If you have 10 or more people in your team, club, organization, or other group, and you are looking for a unique holiday outing or team building workshop, you have found it. 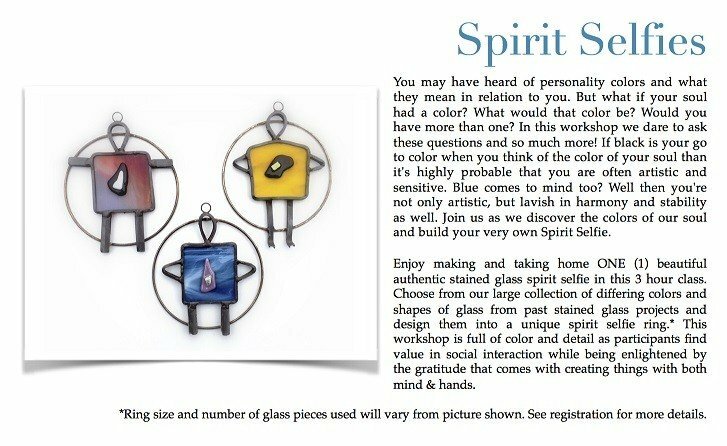 Learn about the art of stained glass design and experience the process of making ONE (1) Garden Spirit glass sculpture by building a 9-piece, up to 12″ x 4″ Mini Garden Spirit to brighten your garden year round. 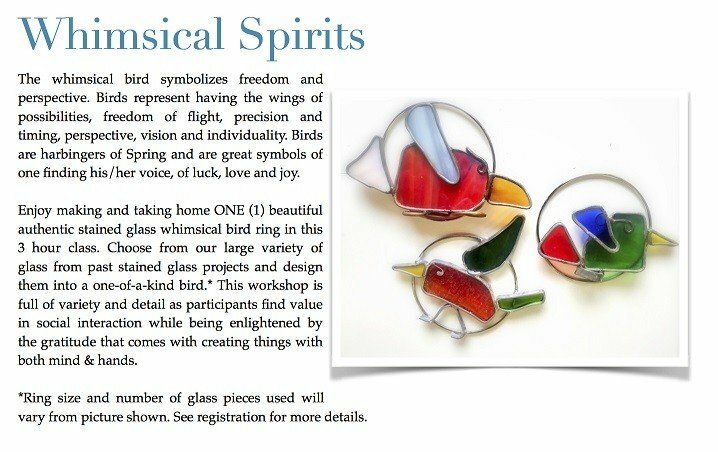 The class includes instruction, materials for 1 Mini Garden Spirit, use of our tools – you bring your imagination! Give your team an educational and fun experience. 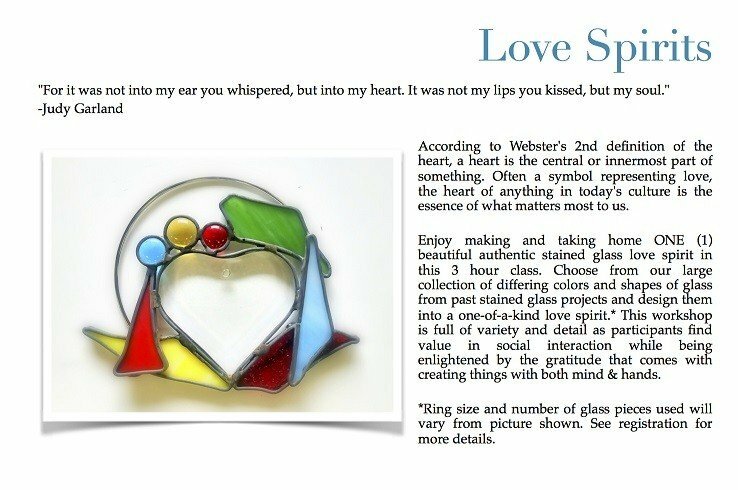 We present an introduction to the world of stained glass, then step you through creation of an artwork that looks like stained glass design. This two-hour session is available at $29 per person, with a 10-person minimum during business hours or 15-person minimum after hours. 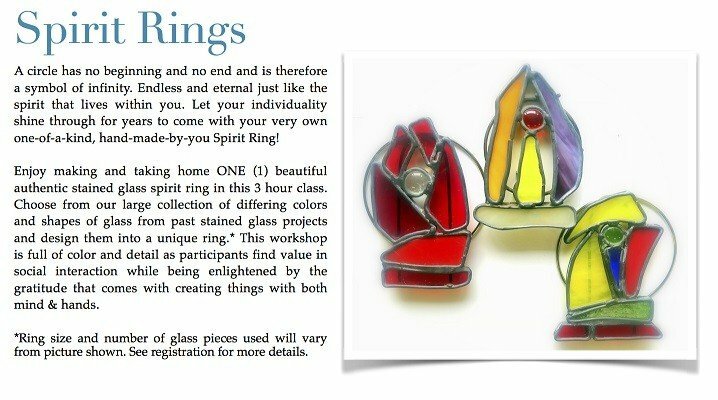 The project and presentation may be customized for your group for an additional fee.